Does your bath serve as a shower as well? Then bath screens because necessary to avoid unsightly splashes on the floor. 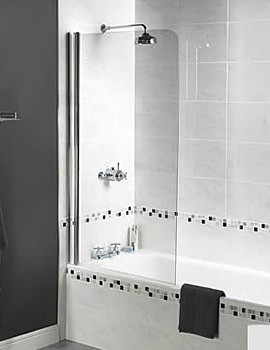 We bring you an extensive flock of products with bath screens in chrome, silver, grey or white coated frames. The durable and robust frames enhance the appearance of the screen while keeping it together. From the hinged to the sliding ones, and from the options of right or the left-handed version, you can pick the most suitable product. Fold-able or swing-opening screens contribute to smartening the bath area without compromising on the functional value. Folding Screens incorporate two, three or even multiple folds, to fit snugly onto your bath rim, and create a generous showering area within the space. Top brands like Aqualux, Lakes, Merlyn, Duravit, Simpsons, Burlington, etc., make the entire selection of products displayed below at QS. 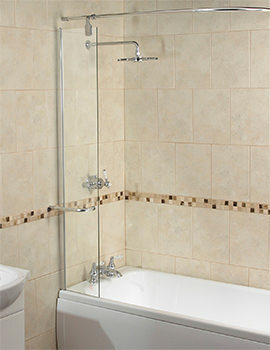 Go ahead, explore the selection of our products, and be rest assured of getting a valuable deal for your bathroom.